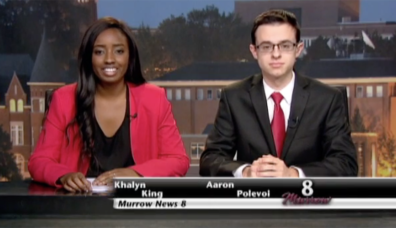 Murrow News 8 is a nightly newscast produced, written, anchored and crewed entirely by students from The Edward R. Murrow College of Communication. Murrow News 8 is Pullman’s only nightly newscast and is broadcast on Cable 8, Monday through Friday at 7 pm and 10 pm, during the fall and spring semesters. 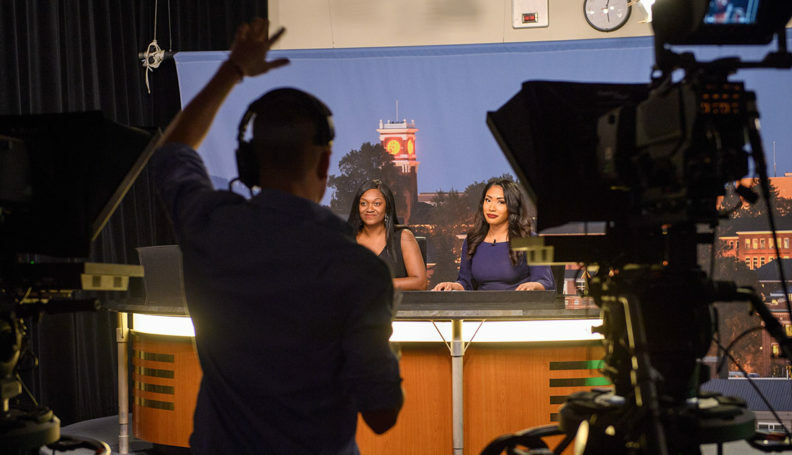 It is a collaboration between broadcast news journalism and production students as part of their Capstone course. In 2016, Murrow News 8 was awarded Best Newscast by the Society of Professional Journalists and won a student Emmy from NATAS (National Academy of Television Arts & Sciences).